Anna (Anny) Leeb - Edmonton's Burial & Cremation Professionals | Trinity Funeral Home Ltd. 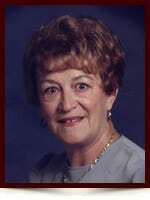 The family Leeb is sad to announce the passing of Anny Leeb on November 25/2016 peacefully in her sleep. She had no serious diseases or afflictions, her body just decided that 94 was enough. Anna is survived by her children, David (Wolfi) Leeb and Gunther (Wally) Leeb and predeceased by her husband Walter Leeb. She has four grandchildren, Matthew , Katherine , Nicholas , and Makenzie. Anny was born in Vienna, Austria to parents Anna and Leopold Bruckner. She lived through the bombings in Vienna during the second world war and emigrated to edmonton, alberta, canada in 1953 (on the famous Queen Mary btw. her shipping trunks still bear the stickers!). Due to her love of classical music, she and dear friends from Club Austria created the Johann Strauss Foundation which still exists today. The foundation raises scholarship money for classical music education which is given to gifted local artists for further education with the best musicians/teachers in vienna,austria, the home of classical music. The foundation still puts on on the Johann Strauss Ball every february with members of the Edmonton Symphony and scholarship winners. The date and place of her memorial service will be announced at a future date. It was her wish that her life would be celebrated at her parish, St. Joseph’s Basilica. Indeed Anna was a woman of impeccable grace and class. She was devoted to her family as was her family to her. She lived a long and meaningful life and those who had the pleasure of meeting her undoubtedly remember her fondly. As a high school and ongoing friend of Wally and David, I was often a first hand witness to how she made a difference in the world around her. She lived her life admirably so I’m sure she will rest in peace. My friend and I had the pleasure to meet the wonderful Anny Leeb, while visiting her son Gunther (Wally) in Alberta a few years ago.We both found her to be cultured, funny, a brilliant conversationalist, knowledgeable on every subject, just a delight to talk with! She was beautifully dressed, almost aristocratic in her elegance, and her home was impeccably-kept. She treated us like royalty, with every social grace, and fascinated us with her artwork and memorabilia. We sat on her lanai and looked out over the city, and spent a truly delightful afternoon, with this very gracious and beautiful lady. Wally was absolutely devoted to her, and as wonderful a son as any mom could hope for! His dedication, loyalty, commitment and love for her was a beautiful thing to observe. She adored him, of course, with good reason. I would like to say, Wally, that you deserve to feel the pride of knowing you were always there for your Mom; you did everything you could to make her life comfortable and pleasant, you were patient, kind, thoughtful to her needs, and showed a devotion rarely seen in today’s world. Your mom is smiling down on you from Heaven! My condolences to the Leeb family.